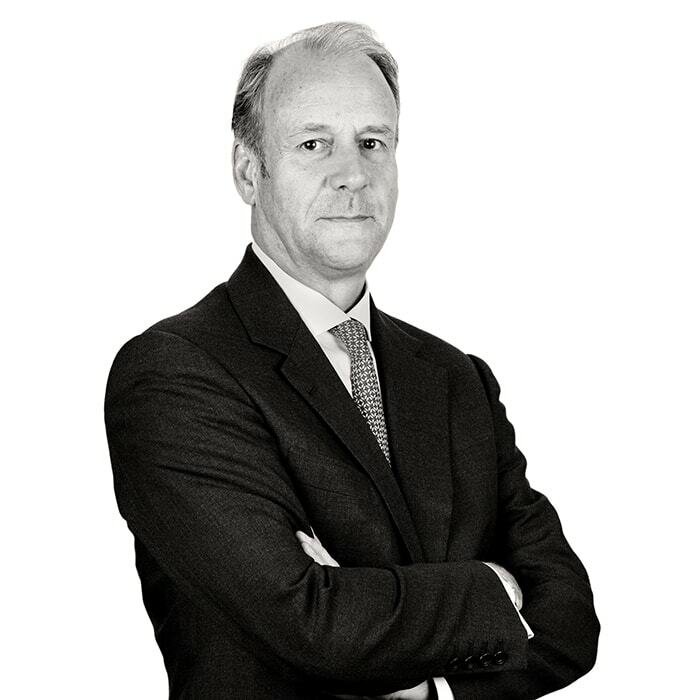 Christopher Braithwaite is a partner at Humphries Kerstetter with over thirty years’ experience of advising companies and individuals on the resolution of commercial disputes by litigation, arbitration and mediation and on internal investigations and regulatory enforcement proceedings. Christopher was for many years a partner at Simmons & Simmons LLP and more recently at Jones Day. Christopher has acted for companies in many industry sectors on a wide range of commercial disputes. Many of Christopher’s clients are in the financial services sector including investment banks, retail banks, institutional fund managers and hedge funds. He has advised on many types of structures and products including derivatives, structured finance, trade finance and syndicated loans. Christopher also advises companies and individuals in connection with contentious regulatory issues and interventions. He has advised many clients in the financial services sector on their response to FCA investigations and regulatory enforcement proceedings and represented them before the FCA’s Regulatory Decisions Committee and the Upper Tribunal. Christopher advises commercial insurance policyholders on insurance coverage issues and disputes (in court proceedings and arbitration) mainly arising under directors & officers, professional liability and trade policies. Christopher’s practice is ‘policyholder only’. Several of Christopher’s cases have been of sufficient public importance to be appealed to the Supreme Court (formerly House of Lords). Christopher’s team was awarded Litigation Team of the Year by Legal Business for its work for the Society of Lloyd’s which included extensive advisory and dispute resolution work. 1982: The College of Law, Guildford. 1981: B.A. (Hons) Kent University. For Simmons & Simmons LLP in proceedings in the commercial court in London, successfully obtaining summary judgment in December 2017 on a claim made against the firm for declaratory relief. This was an unusual case where a firm of solicitors was joined as a defendant to proceedings against its client arising from its representation of that client. For an oligarch and associated corporate vehicles in proceedings in the commercial court in London involving two other oligarchs in relation to a number of substantial claims and counterclaims following the termination of business dealings between them. The trial is listed for 6 weeks in 2019. For 48 investors in an investment scheme in which they lost all their money and in connection with proceedings against Locke Lord (UK) LLP and others in the Chancery Division for substantial damages. The claim was funded by litigation funders and successfully settled in 2017. For Marfin Investment Group and others in proceedings in the English High Court challenging by way of appeal to a Judge the registration in England of a worldwide freezing order made in the Cyprus court and in a further appeal to the Court of Appeal on the effectiveness and enforceability of the registration order pending the appeal. Appeal to the Court of Appeal to be heard in December 2017. For an investment bank, carrying out an internal investigation and reporting on LIBOR methodology and procedures. For an international utility company, carrying out an internal investigation and reporting on compliance with safety requirements in North Sea oil and gas exploration and storage. For a Fund and its management company in two arbitration proceedings in London against its PI and D&O insurers in connection with claims arising out of shareholder derivative actions brought against them in the United States and Guernsey. The proceedings were successfully settled. For Kaupthing Bank in connection with claims against borrowers and the enforcement of security. For RAB Capital in the course of advising a number of hedge funds on claims following the collapse of Lehman, including acting for RAB Capital (as representative of the hedge fund industry) on an application to the English High Court relating to cash derived from assets held by Lehman post-administration and securing the right to $3 billion of cash. Nominated for the Legal Business ‘Litigation Team of the Year’ award. For RBS (Global Banking Markets) in Deutsche Postbank v RBS relating to the sale of structured products. For Aon in the defence of professional liability claims: BP v Aon (relating to the insurance of off-shore oil rigs) and Society of Lloyd’s v Benfield and Aon (relating to the insurance of the Lloyd’s Central Fund). For Eurolife and five directors in an extensive FCA investigation and subsequent enforcement proceedings directed at many areas of Eurolife’s business in which the FCA sought closure of the company and a ban on all its directors. For Lloyds TSB in a substantial insurance coverage claim relating to pension misselling claims against the bank including appeals to the Court of Appeal and House of Lords. For the Society of Lloyd’s on extensive amendments to the Names’ trust documentation and other Lloyd’s Agreements and subsequently litigation against Lloyd’s Names relating to Action Group litigation recoveries including appeals to the Court of Appeal and House of Lords. Christopher’s team was awarded the Legal Business ‘Litigation Team of the Year’ award. For the Society of Lloyd’s on the resolution of the ‘Lloyd’s Litigation’ and structuring of a complex settlement offer to all Names. Christopher acted as the secretary to the Panel chaired by Lord Justice Kerr which assessed the merits and quantum of each of the Action Group claims. For Kaiser Cement, City of Chicago, Tenneco, El Paso, Raytheon, Varian and many other United States insurance policyholders in coverage claims against the London insurance market. For Shearson Lehman in litigation against commodity counterparties and the Board and Committee of the London Metal Exchange following the insolvency of the International Tin Council and ‘ring-out’ of trading positions. The trial of liability lasted for more than a year. Christopher has acted for numerous companies and individuals in confidential arbitrations, settlements and sensitive internal investigations.